In my earlier review, I reported on my extended listening experience with the Metrum Acoustics Adagio and Forte preamp/DAC and amplifier pairing. I was able to audition these impressive electronic devices driving a very interesting pair of loudspeakers, also now available in New Zealand from Critical Sound. The review trial got really interesting when Ian Brown arrived at my home with a pair of Aptica loudspeakers freshly arrived from Albedo Audio of Montelabbate, near Pesaro on the north east coast of Italy. They were going to need extensive breaking in, I was told. Thus, I was going to be able to listen with them for quite some time. That I did with relish. The name Albedo seemed strangely familiar, and indeed I tracked it back to a Vangelis album, confirming a kind of celestial connotation. Among several other meanings, Albedo is a measure of solar reflectivity and is one of the four stages of the magnum opus, that of washing away impurities. This idea of audio alchemy is easily recognisable in the Albedo Aptica in the highly skilled and inspired process and art of bringing together exotic woods, hard metal, electrons in wires, and Alumina. This we know as electro-acoustic engineering. 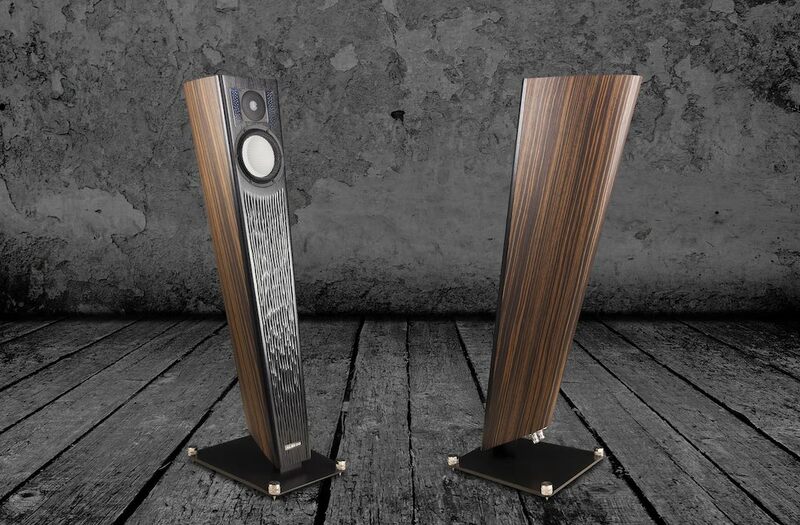 The speakers are visually striking and, up close, they are texturally and structurally intriguing. I was keen to understand what thinking lay behind this and if the design ethos played out – literally – in the music listening. Why are they so slender and surprisingly heavy, with a backwards lean and odd-shaped body? The Aptica floorstander has a tapered, lute-shaped cabinet with a concealed, damped steel-bar spine that is mechanically grounded into a solid and spiked metal base plinth. The front baffle is made of hand chiseled wood. Each speaker weighs 19kg. The gloss finish is superb and lovely to both see and feel. Albedo has a strong and clear design ethos. The external appearance is dictated by the basic principles of acoustics and enriched by finishing in the best ‘made in Italy’ tradition. Albedo’s stated design aim is high quality sound performance with reliability and practicality, specifically a precise sound stage and robust bass range. With the Aptica much work has gone into addressing the inevitable compromises that bring an attractive effective product into the domestic listening space. When I audition audio equipment, I look and listen for novel and superior ways to deliver exceptional music rendition – this product is in its very essence innovative in several complementary ways. In addition to the strikingly obvious – and necessary – shape, this speaker system has other notable features in the form of special drivers and tweeter ‘trap’ panels. The cabinet structure is what Albedo call a Helmholine system. It’s based on the Helmholtz resonator principle in a carefully formed tuned transmission line realised as a tapered loaded sandwich cabinet mounted on a heavy base and steel spine providing ultra-stiff mechanical coupling. Secondly, the diffraction shaping system (DSD) treats the sound wave diffraction that occurs at the edges of a cabinet. Such diffraction alters the frequency response of a tweeter and messes with the timing of waves being received by the listener relative to the other driver(s). The micro-perforated panels have been found to effectively absorb such diffracted waves. Thirdly, Accuton piezo ceramic drivers are formed from Alumina, which is a specially formed and extremely hard oxide of aluminium that is advantageously very light and very stiff. An ultra-stiff and extremely light diaphragm exhibits exceptional transient response and very low distortion, quite different from ‘dynamic’ drivers that are comparatively heavy and floppy. Technically, the design is a two-way transmission line loading filtered by resonators (Helmholine System) with an acoustic first order, linear phase crossover for a 6” ceramic mid-woofer and a 1” ceramic tweeter with (DSD System) tweeter diffraction trap. This achieves a frequency response of 45 – 20,000 Hz at a sensitivity of 85 dB SPL (2.83V/1m) from a cabinet of 26 x 19 x 101cm. What you get in this version is a very high gloss graphite Ebony finish, with hand-sculpted Indonesian Makassar Ebony hardwood front panel with black lacquer. Other finishes are available. The construction makes them rock solid stable on a heavy central steel spine that is bolted to a heavy plinth, with shiny spikes. The mid-woofer driver sits safely behind a rigid perforated guard cover. Cable connectors are very neatly located on the rear bottom edge of the cabinet, making connection easy and unobtrusive. Immediately obvious is the superb degree of resolution of nuances and subtleties, and the tonal balance and timbre, which I characterise as fine, rich and natural. Right out of the box, before the recommended 100 hours ‘break-in’, I’m pleased by the detail, surprising bass output, and remarkably smooth rendition of notoriously difficult piano. Resolution of instruments and voices is outstanding, if very bright, so my music is presented as detailed and crisp, present and revealing. I listen to lots of jazz-rock and fusion and it’s very easy to discern and follow separate instruments, even in complicated heavily populated music passages. 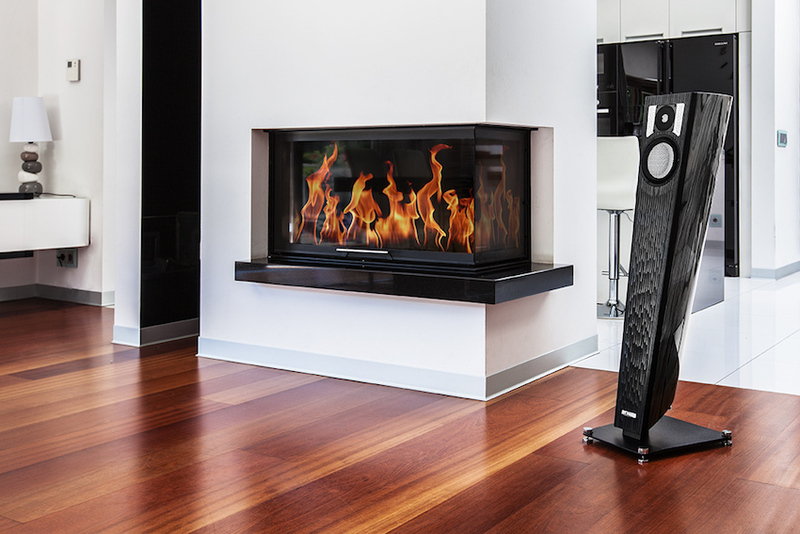 The extended high frequency response is evident in the clarity and sparkling detail of music rendered. Driven by the Metrum Acoustics Adagaio/Forte combo I previously reviewed, the soundstage is BIG – very big – and presented between and to the rear when placed a metre from the wall. It all sounds very clear with a precise soundstage presentation and, most impressively, no sense that the sound is coming from the speakers. A very convincing stereo image is rendered, with a ‘holographic’ sense of instrument location, and the soundstage image is huge – way beyond the bounds of the two speakers sitting in front of me. I listened for both recording artifacts such as soundstaging, imaging and clarity, and how pleasing the sound of my recorded instruments was. Crucially, since music matters most, I listened for the rendering of timbre, melody, harmony, rhythm, tone, and tempo and so on. I listened for presence, emotion, silence, and melodic beauty. I couldn’t, in the end, resist comparison with my own setup (Sachém amplifiers and Audio Pro Avanti 100DC speakers). If played without comparison for some time, then alternated with the very different design and construction of my transducer system, some intriguing psychoacoustic effect is evident. The Apticas sound superbly right with stringed instruments, piano and voices. Compare playing music with the Avanti’s much larger cabinet and more conventional four-way driver design with super tweeter and powered long-throw woofer and Audio Pro’s own ace-bass driver enhancement system (22 – 40,000 Hz), and the body of the music emanating from the Apricas seems stretched and lightweight at each end of the frequency range. Add electric bass and drums and rock music sounds a bit thin and very bright. Lots of prominent top, and noticeably lighter deep bass. 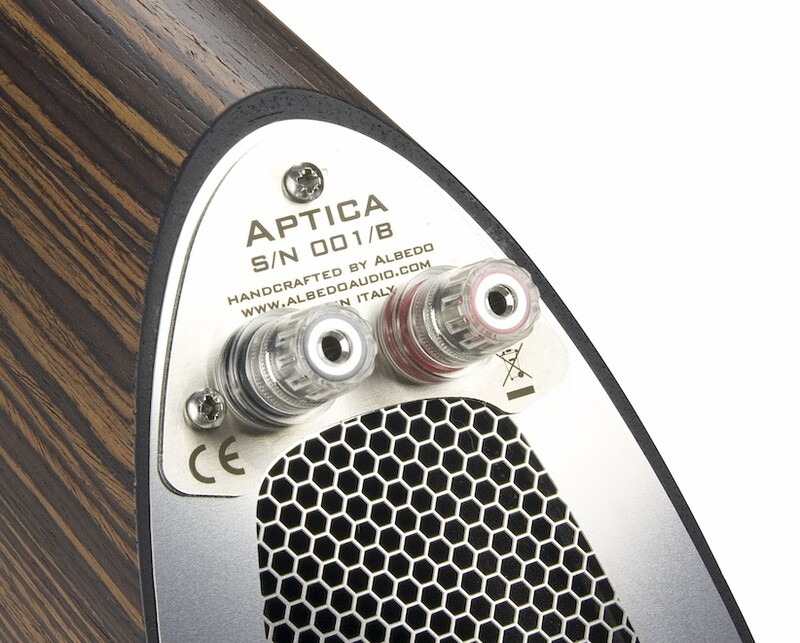 Yet, the clear and precise ceramic drivers and body construction of the Apticas makes some recordings sound so natural. This was evident on a diverse range of listening: solo singer-songwriter, classical string quartet, Cassandra Wilson’s voice, Morglbl’s heavy jazz-fusion. Any such comparative assessment is quickly forgotten when extended listening with the Apticas is so immersive and musically absorbing. I sensed that they had been voiced for classical music and small combo jazz, and sure enough the aural landscape was lush and smoothly detailed when playing Handel and Vivaldi, and my favourite female jazz vocalists. 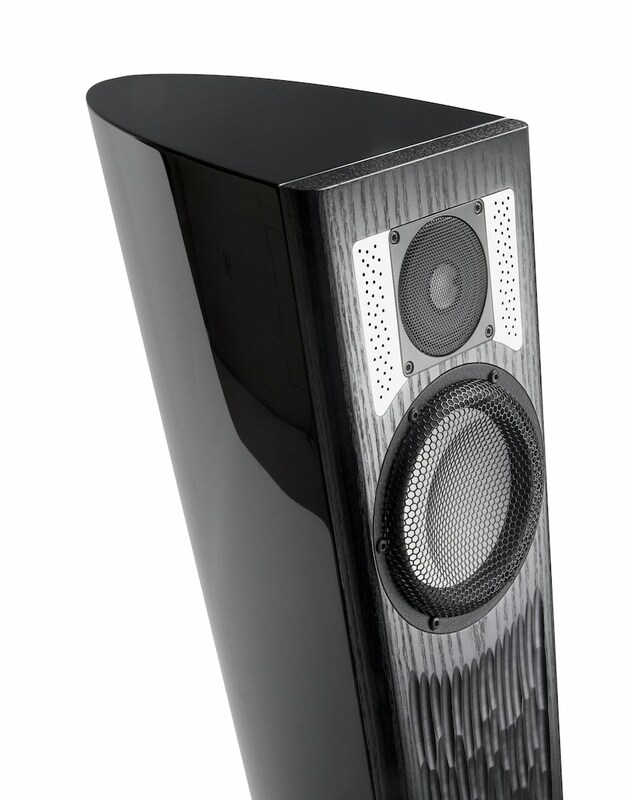 These speakers are outstanding when not fed with big complicated sounds – big band, huge orchestra, loud complex rock. They lack weight or heft, and the necessary hard texture. They excel with close-microphoned piano, classical guitar, and voice, rendering lovely natural timbre and fabulous presence. Did I detect a change in character with use? Over 80-100 hours run-in it was not obvious to me. After weeks of listening, I have concluded that the Apticas are different, not superior or inferior to my own speaker system. I’ve loved listening with them to lots of music from the eclectic range of styles I enjoy. Granted, I had a preference for some recordings over others, so I conclude that the Apticas sound more right to me with some recordings than with others – my preference is for a fuller weightier sound. As always, you need to audition loudspeakers thoroughly to hear how they sound to you in your listening room situation and with your music. The company motto is ‘brightness of sound’. If that’s your aesthetic aim for your audio system, then you should be listening to Apticas. 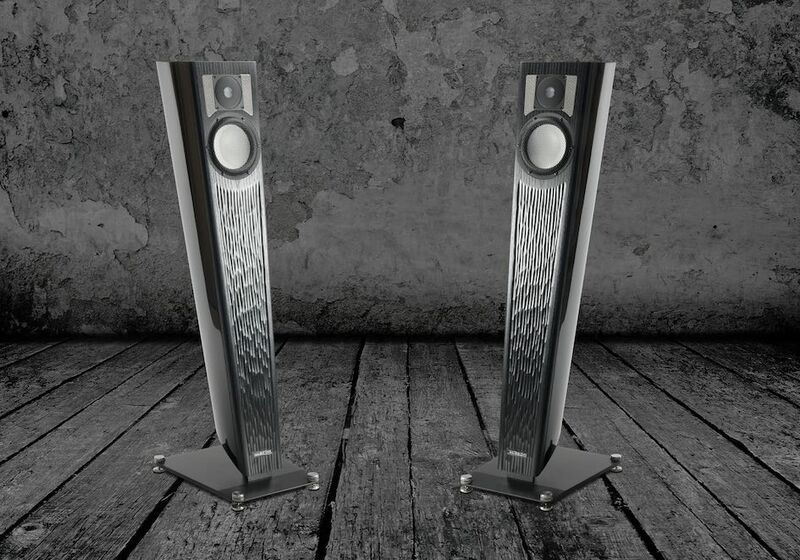 They exude artistically-informed engineering prowess, and will – literally – grace a serious music listener’s sound stage presentation with all of their smooth clarity. You won’t get thunderous bass from a cabinet of this size, but the Apticas ooze deep style and precision. Aural alchemy and sunshine in a cute box.